The Farm uses traditional, chemical free methods of growing fresh produce for the community. 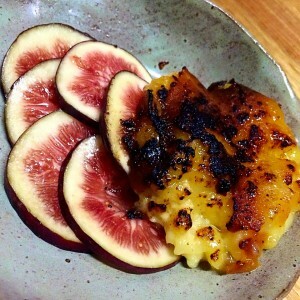 Their onsite restaurant, Three Blue ducks, provides a unique farm-to-table dining experience for all. Fig Tree Restaurant aims to ‘provide the best dining experience possible‘ by sourcing the freshest local ingredients and home grown produce available. With a menu boasting modern and innovative dishes inspired from various cultures, they are sure to please the food critic within. Fins is a well established Seafood Restaurant which offers the very best in local, line caught fish and seafood. Harvest cafe, deli & bakery is located in the historic village of Newrybar in the Byron Hinterland (20 minutes leisurely drive from Byron Bay). Showcasing the diversity of the wonderful local region Harvest create fabulous fresh, local, organic food sourced from local artisan producers & the restaurants own gardens & farm. Town is a multi level restaurant offering breakfast, lunch & coffee on the bottom level (known as Downtown) during the day, and by night dinner is served upstairs (known as Uptown). Located just a short drive to Brunswick Heads, Fleet is a beautiful restaurant serving delightful modern cuisine and a lovely range of fine wines. These private botanical gardens filled with extraordinary crystals, sub-tropical plant life and daily experiences for all ages will provide you with a uniquely fulfilling experience. 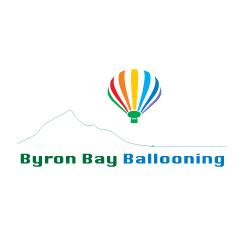 Byron Bay Ballooning is one of Byron’s most popular tourist attractions. Taking off for early morning sunrise flights, you will experience breath taking panoramic views of Mt Warning and the beautiful coastline, as you gently float above the region.